Thank you so much Justine for everything that you did for me. You sold my condo in 4 DAYS! I'm so happy with the entire process. We met Justine at an open house and were impressed with her friendly, knowledgeable expertise. When we decided to sell our property we immediately knew we wanted to enlist Justine to help us. She was great! 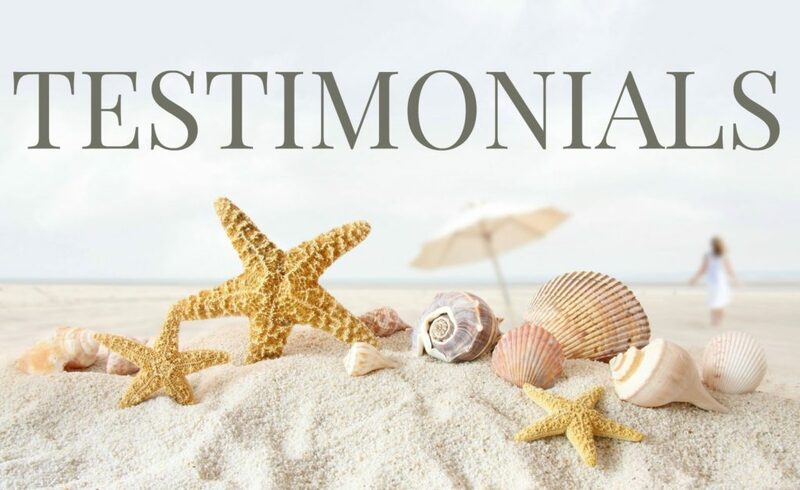 She was aggressive without being overbearing and her experience guided us thru the process and she kept us informed every step of the way, since we were out of state this was very important to us. Even after Irma, with damage to her own home, I always felt Justine never lost sight of her professional duty and went beyond what was expected. Because of Justine's expertise and her very hard work she sold my Naples Florida condo in a very short time. A lot faster than I expected. The condo needed a lot of work before I put it on the market. Justine help me with finding a carpet installer and painter ,this made the condo look new, this was a great help! Justine did a wonderful job for us. She sent only listing with our specific needs and wants. Understanding and patience is a virtue of what Justine provides for your real estate buying experience. We had talked to many other realtors and none of them had the professionalism of Justine Williams. I would recommend her to any one who asked. Justine is an experienced Naples area realtor and a wonderful supporter of the Naples community! I would strongly recommend contacting her if you're looking for a Southwest Florida realtor!